Spencer Law Firm LLC, located in Lancaster, Pennsylvania, provides a full range of services designed to assist clients with the complicated and numerous responsibilities of administering an estate following a death. Patti Spencer and her staff of highly educated paralegals are committed to helping clients navigate through these often complex processes. To obtain more information, contact SLF today. After the death of a family member, there are many fiduciary obligations to be fulfilled that carry personal liability. Whether you are an executor of an estate, a guardian or an attorney-in-fact, the responsibilities associated with managing an estate of considerable value can be daunting. SLF also assists other law firms that wish to reorganize their estate planning practices by offering consulting services to design, organize and appropriately staff the firm’s estate and trust administration department. All tax return preparation is done in-house. SLF handles federal estate tax returns, Pennsylvania inheritance tax returns, fiduciary income tax returns and the decedent’s final 1040 tax filing. The firm is cognizant of tax deadlines and works efficiently and economically to meet those deadlines. SLF employs cutting-edge trust and estate administration, tax preparation and actuarial computation technology to provide efficient, accurate preparation of documents. 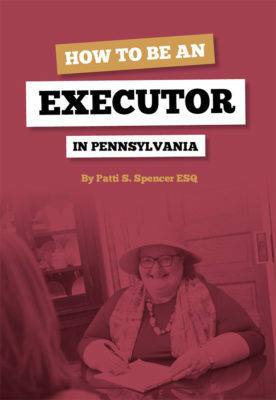 Many law firms in Central Pennsylvania bill clients based on a percentage of the estate’s value. This means that a lawyer may perform identical services for various clients, but charge some clients significantly more than others depending on the value of individual assets. SLF bills according to services rendered, regardless of the size of the estate administered. For more information regarding trust and estate administration, contact SLF today.